Before becoming a CIA officer, Evelyn Salt swore an oath to duty, honor, and country. She will prove loyal to these when a defector accuses her of being a Russian sleeper spy. 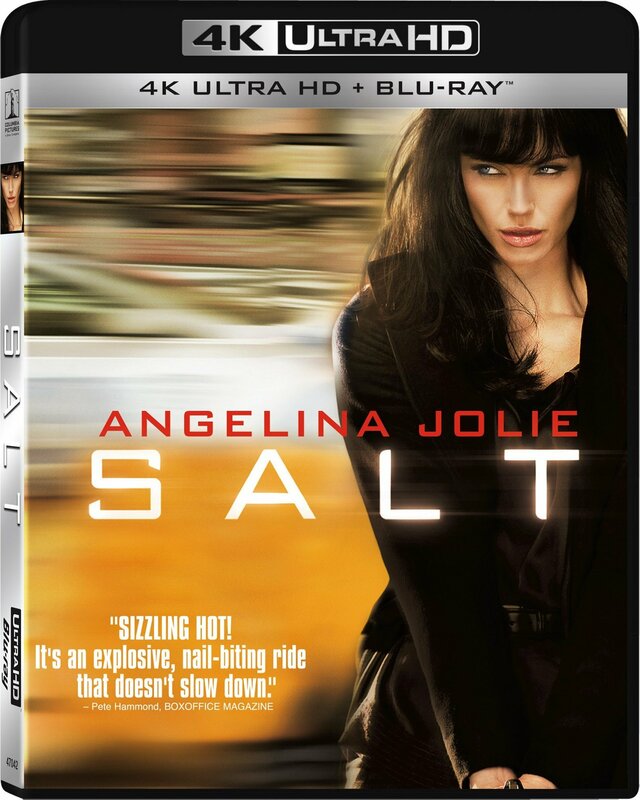 Salt goes on the run, using all her skills and years of experience as a covert operative to elude capture, protect her husband, and stay one step ahead of her colleagues at the CIA. When Evelyn Salt (Angelina Jolie) became a CIA officer, she swore an oath to duty, honor and country. But, when a defector accuses her of being a Russian spy, Salt's oath is put to the test. Now a fugitive, Salt must use every skill gained from years of training and experience to evade capture, but the more she tries to prove her innocence, the more guilty she seems.